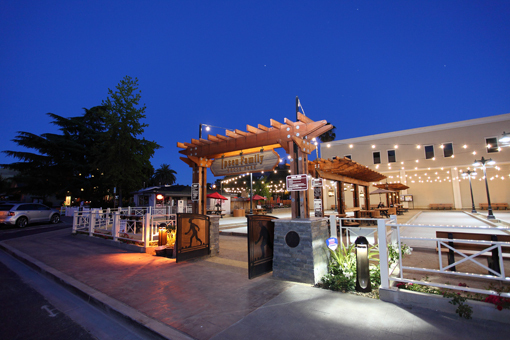 In the spring of 2014, the Ipsen family began construction on a new downtown park that would change the setting of the city's downtown district and bring life to a very dark corner of town. 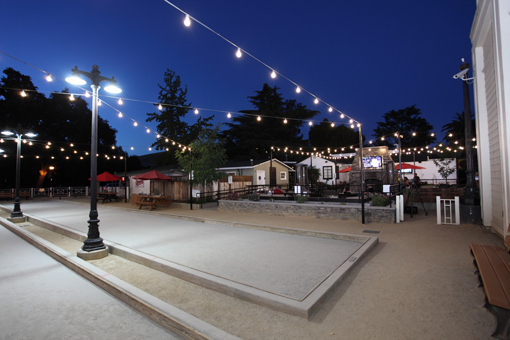 The Ipsen Family Bocce Park consists of four regulation bocce courts with professional grade drainage, custom scoring posts, oyster shell playing surface, a large decorative trellis system, and state of the art led lighting for evening play. 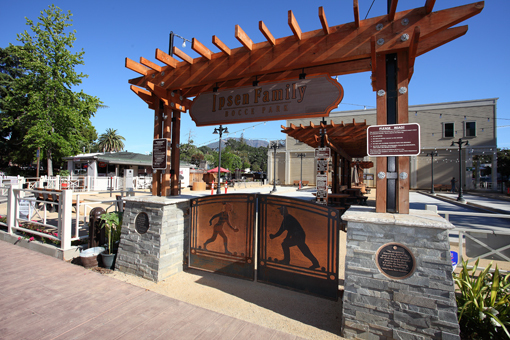 The park was erected as a memorial park in honor of the Ipsen family that has been active in the City of Clayton for over 40 years. 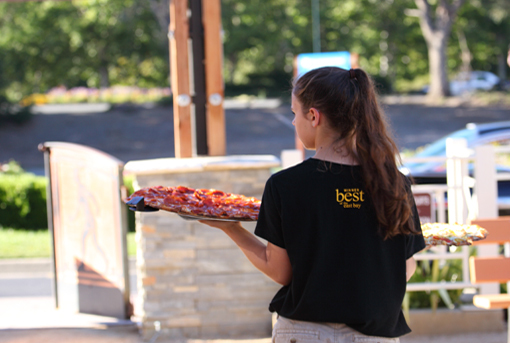 Founder of Skipolinis Pizza, Skip Ipsen, was one of the founding members of the Clayton CBCA (Clayton Business& Community Association) which has been improving the welfare, prosperity, and common good of the entire community since 1984. 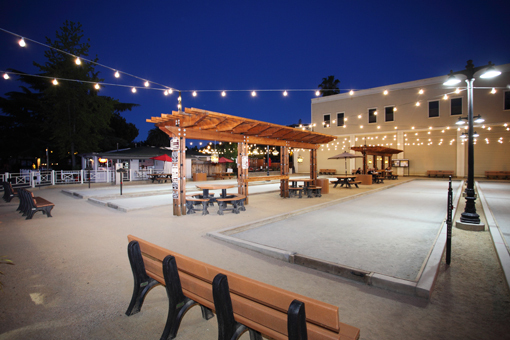 The Ipsen family bocce courts are available for "Open Play" Monday through Friday from 10am to 3pm and Saturday all day. If the courts have been rented during "Open Play" time period, it is still considered "Open Play" for the purposes of the property regulations and posted signage. This means that no alcohol is allowed unless purchased from Skipolinis Pizza. 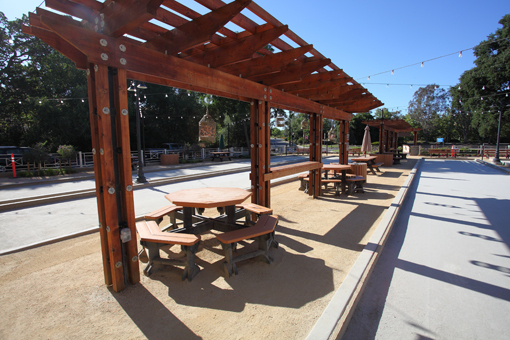 On Sundays, the courts are available for open play for a very short period (10am-12pm) due to "League Play" all day. "Open Play" means that the courts are available to anybody over the age of 18 years of age that wishes to come down and play. 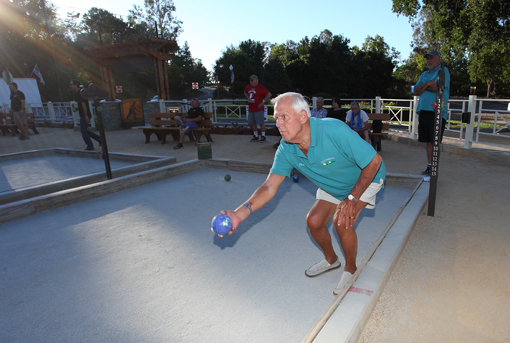 Any person under the age of 18 years of age must be strictly supervised by a parent/guardian that is present in the bocce court property and monitoring play. 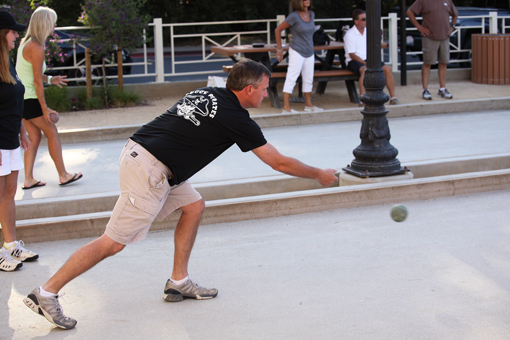 Bocce balls are provided at the courts daily at no charge. Some rules of the courts are as follows: No alcohol is allowed unless purchased from Skipolinis Pizza. No pets allowed. No tobacco use of any sort. No loitering. No bicycles, skateboards, roller blades, scooters or vehicles allowed on property. No Barbeques. 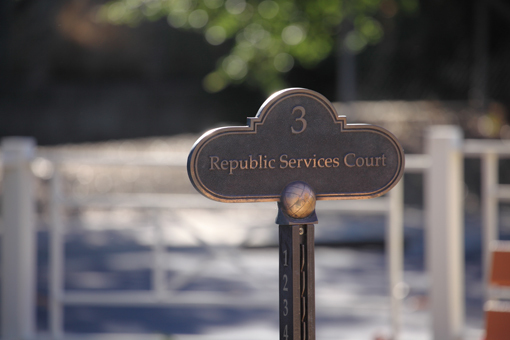 The courts are a community park that all occupants should protect and respect by cleaning up after use. Garbage and recycling receptacles are located on site.